We hoped he would bring his epic rap skills to Saturday Night Live! 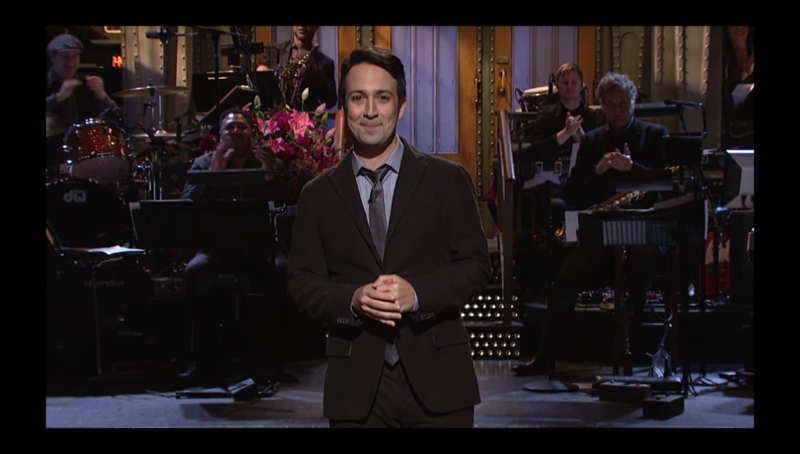 Hamilton mastermind Lin-Manuel Miranda hosted the iconic NBC comedy show on October 8, and he did not throw away his shot to tip his hat to his Tony-winning tuner. Miranda re-vamped the Hamilton anthem "My Shot" to include some choice words for Donald Trump, a cameo from SNL creator Lorne Michaels and a slew of back-up dancers. Though we loved the opener, our new favorite song has to be "Crucible Cast Party." Take a look at the videos below to see why!